What makes Five Star sheds different? 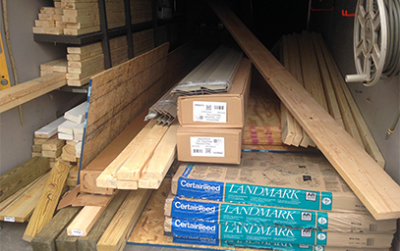 We pick up fresh, straight lumber just for your project only days before we build - then cut it and have it ready to go. We deliver your materials in a small utility trailer suitable for city streets as well as country roads. 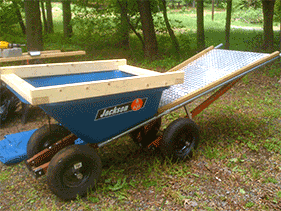 To transport the mateirals to your yard we use, "Li'l Mule" (our specially designed wheelbarrow). This minimizes damage to your yard and fences. We are self contained (even with a bathroom) so there is no need to stay home the day we build. We love building sheds. We love helping people design a shed to meet their needs – all the small details that make a difference. Whether it's customizing the shelves to fit your belongings, choosing colors to coordinate with your home or creative desires, choosing the design and placement of the shed to enhance your home and back yard, or placing the windows to let in the most light, that's what we enjoy. 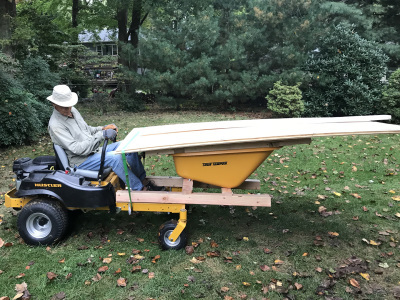 Based in Manassas, Virginia, we build sheds in Northern Virginia in the counties of Prince William, Fairfax, Arlington, Loudoun, Fauquier, and Stafford.